Supercheap Auto new 'Happy Bathurst Day' TV campaign designed to leverage the company's sponsorship of the Supercheap Auto Bathurst 1000 in debuting work from The General Store. The Happy Bathurst Day concept is being rolled out in-store, in catalogues and through social media, in the run up and on the day of the Supercheap Auto Bathurst 1000 race. Series of comedic TV spots created by Brothers and Sisters, featuring Joanna Lumley impersonating characters from popular series, which are all available as Box Sets through Sky's On Demand TV service. 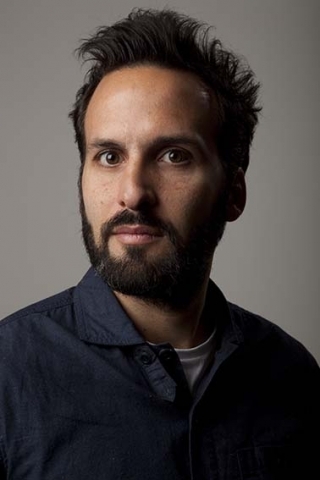 This week's guest judge is Santiago Lucero, executive creative director at Fallon UK, London. Carlsberg 'That Premier Feeling'. A really beautifully craft piece, with a completely different way to express all those feelings about football we experience when it comes to our lovely game. As I said, Well crafted, not cheesy at all and definitely different. Gone fishin'in the sky.Sharknado is a movie about sharks falling from the sky after being caught up in a tornado. To publicise its upcoming New Zealand TV debut to viewers in its biggest city, DraftFCB Auckland did what any good kiwi would do and baited a giant fish-hook with a life-size cow, to try and hook a few of those airborne sharks. Once again Young & Rubicam Argentina led Tulipan Condom's spring campaign. For over more than 20 years the agency and its client have been releasing campaigns at the beginning of this season, famous for their wit and creativity. Honoring this tradition, the condoms brand makes its 2013 come-back with "Horoscope", a project that will also have actions in social networks. Every year, join the most popular brands in the Brazilian Midwest for an awards night.Bees, Brasil do research and then we give a prize for the most remembered by the people. Ogilvy & Mather Malaysia has released a new Pictionary campaign that extends the existing "Quick Draw Wins" theme. Cif wanted to introduce a campaign based on the concept of nostalgia. And it released its products with their old packaging. Through this Havas Istanbul created campaign, Cif aimed to remind the users of the products that marked the history of Cif. Accordingly, the announcement of this campaign had to be done nostalgically. From the moment Bulleit bourbon was first distilled, it was a whisky made differently: in small batches, with a special recipe, a unique taste and a truly independent spirit. We are intensely proud of how we differ from our more famous counterparts. This led Leo Burnett Sydney to create the brand positioning 'Anti-established'. Naming is all about creating unique brands in a sea of sameness. To demonstrate this, Lucifer Labs, Chennai actually took famous names that use the same letters and yet have a distinctive identity of their own. DM9 Jayme Syfu, Makati City has created this print campaign for Bodum's no slip grips. Smiles is a Star Alliance Global awards mileage travel program promoted by Giovanni+Draft FCB Sao Paulo. Vhi Healthcare are supporting Blue September, the men's cancer charity. With low to no awareness of the charity in Ireland, and involving a subject most young men don't like to engage with, Publicis, Dublin commissioned popular comedians Dermot Whelan and Bernard O'Sea to put a lighter spin on this serious topics. The TVC was accompanied by a series of short online sketches, each dedicated to a different aspect of men's cancer awareness. Fred & Farid, Shanghai has created these print ads for Porsche's new Away campaign. To highlight the creative power of Intel processors inside the world's latest must have gadget - the tablet - Intel has pioneered an inventive music film project in collaboration with Flume, otherwise known as Harley Streten, one of the world's hottest new creative artists via The Monkeys and Finch. Isobar, Warsaw has created this interactive campaign for Polish Radio. LG Nordic has turned to Twitter to raise awareness of its new refrigerator range. To get people talking about its "door-in-door" technology, it has set up a "tweeting" refrigerator that will send out a message, with an attached live-streamed video, every time its door is opened. The fridge's first destination is the TV-production company Baluba, run by Swedish comedian and media entrepreneur Peter Settman and his colleagues. Followers on Twitter will get an "inside" view into the daily production of the company's various shows and get a chance to see visiting celebrities. As well as the campaign website, where you can see all the tweets and clips, the work, by M&C Saatchi Stockholm, is supported by online and social media, and in stores. In light of Western Australia consistently having the highest road fatality rate of any state, the RAC and JWT Perth have unveiled a world-first innovation - a car powered by attention - to raise awareness about the deadly impact of inattention on WA roads, estimated to be a factor in 46% of all fatal crashes in Australia. The 'Attention Powered Car' employs the use of neuro-technology to make the car 'go' when drivers are paying attention, and 'slow' when they are not. Carlsberg beer has launched a brand new global marketing campaign to sit alongside its three year deal with the Barclays Premier League spearheaded by a new spot entitled 'The Ride' crafted by Santo, Buenos Aires. The commercial features legends including Robbie Fowler, Gareth Southgate, Jimmy Bullard, Marcel Desailly and Chris Kamara, 'The Ride' depicts hundreds of people on a rollercoaster symbolising these ups and downs, the tension and jubilation, the disbelief and jaw-dropping moments, the heartbreak and the glory, which everyone experiences in every match and every season. B-Reel director Josh Miller's "Restaurant," a 30-second PSA for ad agency Sherry Matthews Advocacy Marketing and the Texas Department of Transportation, provides a shocking reminder that even a slight buzz can impair your reflexes enough to cause a crash. "Restaurant" features a casual social encounter that ends up in an incredibly violent slow motion crash scene. The ad, TDI TouchDrive, was created for Motor Trend's and Automobile Magazine's iMag format. It combines video, animation and interaction to educate consumers about Volkswagen's TDI Clean Diesel technology and range. The personalized ad uses geolocation and driving directions to provide users with four or five route options to virtually drive 795 miles in a Passat TDI on a single tank of fuel. Interactive "bubbles" with fun road trip stats, film content and info appear along with way to show how the trip might go down. The new HBF campaign is a celebration of the human body and the amazing things it can do - if treated well. Created by Marketforce Perth, the campaign draws on a combination of filmed and sourced scenarios and feature people of all ages performing different feats, from a child basketball prodigy and a grandmother performing yoga to a BMX master and an ice swimmer. Johnnie Walker has released a new campaign via BBH London. The campaign elevates the central idea of âKeep Walkingâ which is one of personal progress. 'From the Future' is a message from the future in which a successful man tells his weary younger self not to lose hope. Tying in with the universal appeal of the message â not to mention global distribution of the campaign â the message is illustrated by a montage of men and women from Bangkok to Sao Paulo slogging it out with the daily grind of work. Vitamilk, Thailandâs leading soymilk brand, has been recharging Thai people for over 55 years, and they wanted to remind consumers of their distinctive recharging power in a new and relevant way. To achieve this, BBDO and Proximity Thailand built the Vitamilk Recharge Station âDead Batteries for Dead Batteriesâ, the worldâs first signboard that collected dead batteries to create power for dead batteries, reflecting Vitamilkâs belief that there is always power within to recharge. Getting a pimple often feels like the end of the world and feels like your face becomes totally disfigured. Tapping into this teenage(and often adult!) human truth we created a tongue-in-cheek campaign that illustrates how you see yourself with a small pimple and how Oatmeal Spot Clear is the quick and effective solution. First we gave you Henri Delatissier, the greatest plombier in all of France. Today we introduce Nicolai Norgaard, the greatest Dancer in history. This is the second commercial in a 360eight South Africa campaign for YellowPages.co.za that brings to life their new positioning of Local Reliable Results. When German telecommunications giant Deutsche Telekom wanted to tell a story of the increasing interconnectivity of the modern world, they chose an unconventional approach: rather than tell this tale literally, they followed the advice of German agency DDB Tribal and Director Carl Erik Rinsch to convey it as a visual metaphor representing the body, nature and the universe. Rinsch, in turn, turned to MPC LA, confident that the studio could create the spotâs tone and style and execute roughly 35 seconds of pure CG animation in just one month. The latest Honda Brio ad from DDB South Africa explores that while you have enough drama in life, you most certainly donât need any on the road. Mitchum is an antiperspirant that keeps you dry. In fact, Mitchum only does dry, seriously dry. So when we were briefed to create a campaign for Mitchum, we decided to launch an attack on wetness. We called it, Drymageddon. Geometry Global & OgilvyOne Cape Town created an arcade-style flying game on Google Maps, where people could destroy real pools around South Africa, with an arsenal of aircraft and weaponry. The more they destroyed, the greater their chance of winning a trip to the driest place on earth the Tierra Atacama desert. Marking the 25th anniversary of "Just Do It," Nike via Wieden + Kennedy, London is inspiring women across Europe to push boundaries and reach new goals. Today Nike released its new "Just Do It" campaign in Europe. The latest installment of the "Possibilities" series, the film is a celebration of every woman who has tested her limits and embraced her potential to make September her most active month ever.